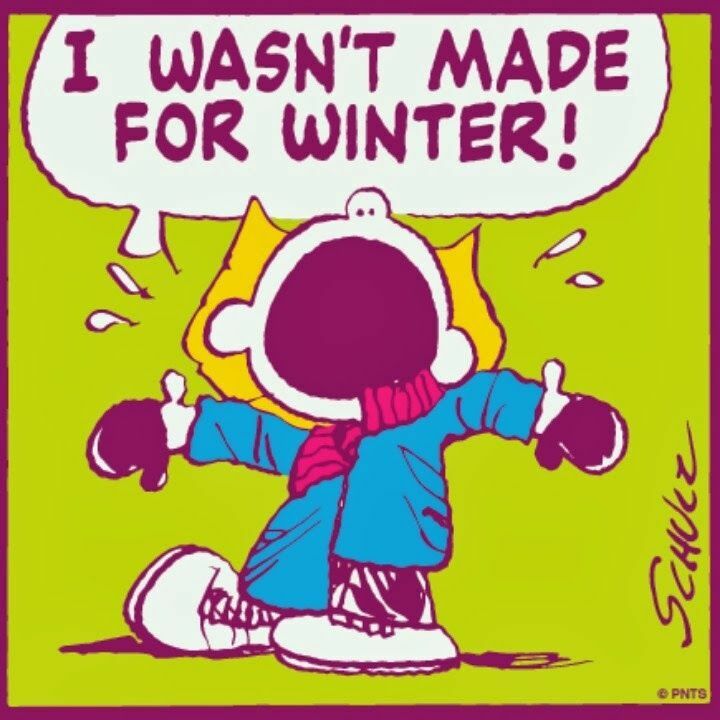 Winter has me in a funk. 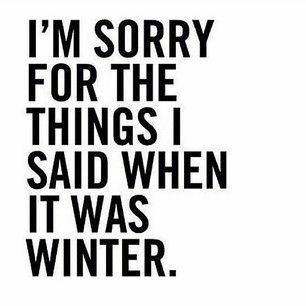 It has been so cold and I feel like I only see the sun about once a week. I have no motivation. I don’t feel like doing my schoolwork. I don’t feel like cooking or cleaning. I don’t feel like going to workout. I guess you could say I don’t feel like doing much of anything. I’m trying not to allow myself to be swallowed up by this grumpy weather-induced state, but it is extremely difficult. Although I have been doing pretty well with my food choices these past six months, I noticed that I was definitely eating better in the summer and fall. I also cooked more. I find it harder and harder with each passing cloudy, cold day to get up early and make my breakfast and pack my lunch. It’s harder to resist those treats that inevitably show up at meetings or say no to the office birthday cake. It’s harder to stick to the dinner menu I plan for us each week. Isn’t it weird how the weather can have such a huge impact on a person’s mood? In the winter I feel like I am walking through life in a fog…doing what is only absolutely necessary (in layman’s terms…I become lazy!). Cooking is necessary…. and even though I may not cook as much as I should, it’s during times like these I like to turn to my slow cooker. Slow cooker meals are great because they are typically quick and easy with both preparation and clean up. I tend to avoid those slow cooker recipes I see that involve a lot of work or separate pans. This pretty much defeats the purpose, in my opinion. (Why do you need to sear the beef first? Is there really any difference in the taste? I don’t think so.) I also like slow cooker meals because you can make enough to ensure leftovers…thus you won’t have to order out with your coworkers everyday! 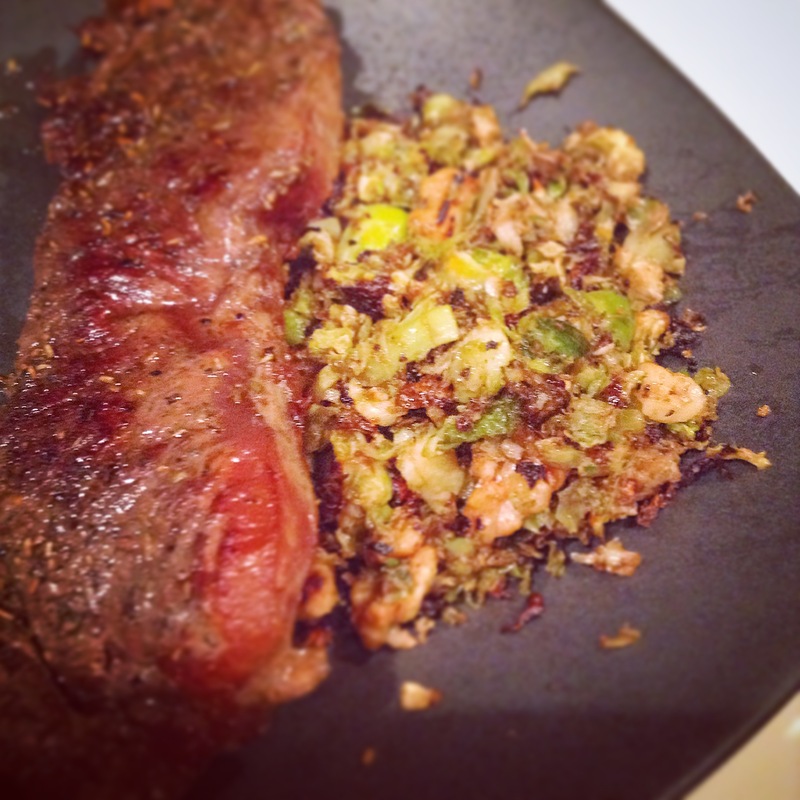 I made this paleo recipe the other night with a few modifications. If you check out the original it is one of those recipes that I usually wouldn’t consider making due to all of the extra work outside of the slow cooker. I ended up making a more flavorful, simplified version. I have to say it was really good! When I made it I used flank steak because that was all I had on hand, but you can pretty much use any cut of beef you like (the original calls for brisket). It will work well with cheaper cuts of meat because of the long cooking time and the wonderful flavor of the sauce and spices. It does have some non-paleo ingredients such as Worcestershire sauce, but you can easily find a recipe to make a paleo version. 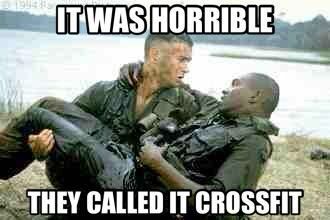 I used this one. I recommend tasting it after about six hours to make sure the seasoning is how you want it. You don’t want to wait until the very end to add more seasoning because you want the flavors to really be incorporated into the meat. You can serve it in lettuce cups, on a salad, by itself or on a roll. 2-3 pounds boneless beef roast (chuck or round is ok), or beef brisket, flank steak, etc. Place beef, onion and garlic in the slow cooker. Sprinkle with the salt and pepper. In a small bowl, whisk together the beef stock, tomato sauce, honey, mustard, Worcestershire sauce, liquid smoke, chili powder, and apple cider vinegar. Pour sauce over the meat in the slow cooker. After about 6 hours, taste the sauce and adjust seasonings to your preference. At this time, also remove the meat from the slow cooker allow to cool for about 10 minutes and shred, using 2 forks. 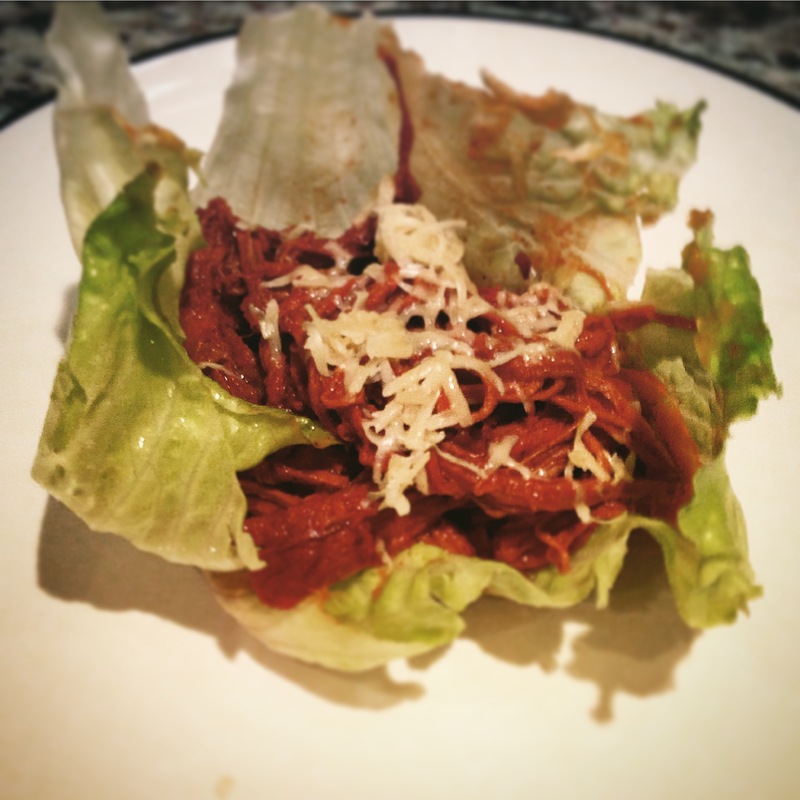 Return the shredded meat to the slow cooker and finish cooking. 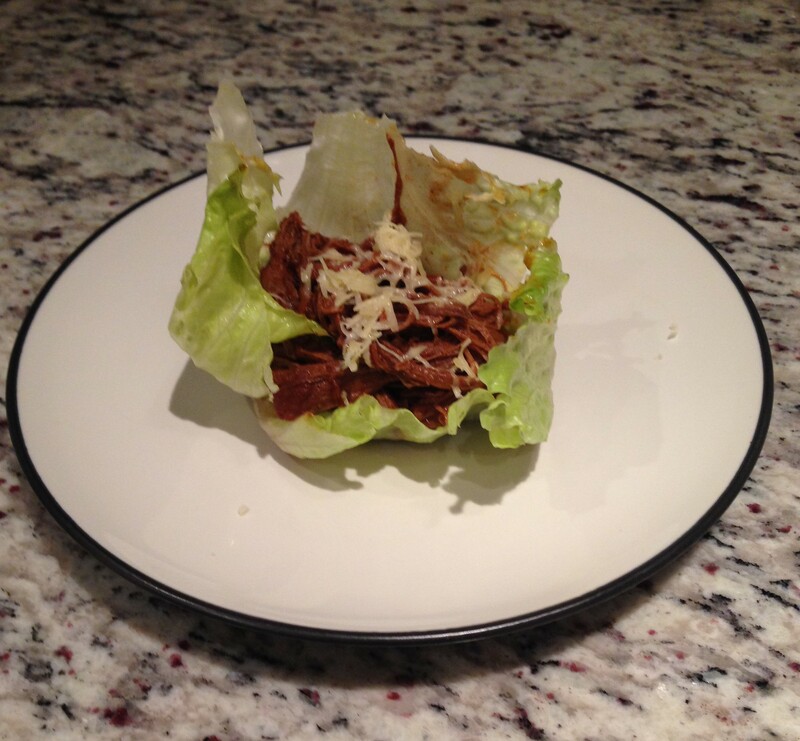 Serve in lettuce cups or as desired. Don’t forget to “Like” me on Facebook!! I’ve been thinking about my blog and what direction I want to go with it. I am happy that I shared my experiences with detoxing from sugar and getting headed on a path to a healthier life. This blog is definitely still a cooking blog because that is what I love to do, but I think I will incorporate my fitness and wellness journey as well. I hope to inspire those who are like “Old Me” and too lazy, scared, unmotivated, etc. to really take their physical health seriously. 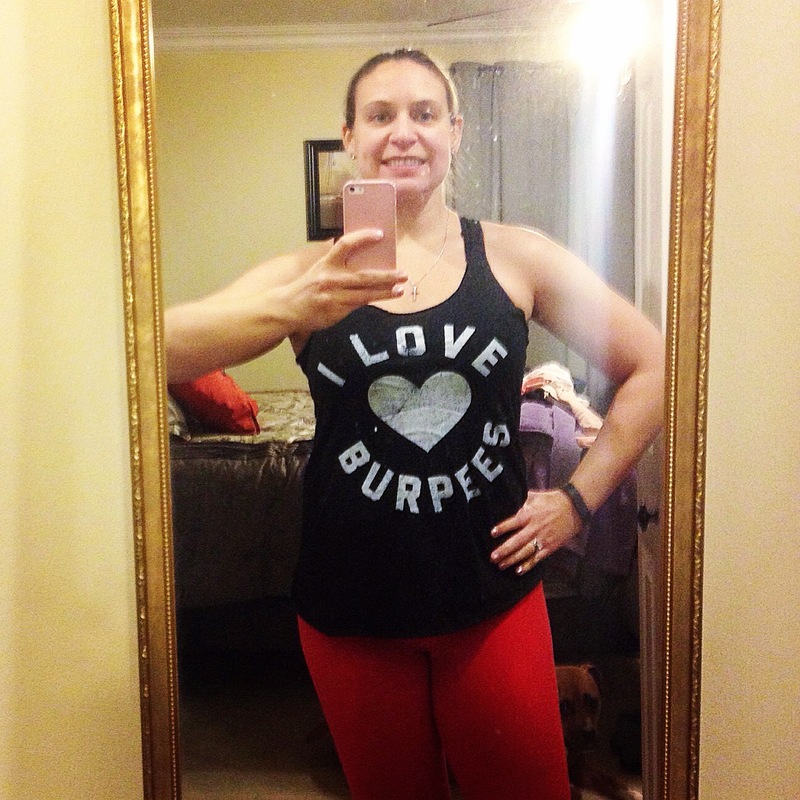 So I’m thinking about a Feel Good Friday post where I’ll share my opinions, advice, workouts, articles or whatever I feel like (probably will just complain about how sore I am!) that relates to being healthy. As far as the blog goes I am not going to be removing or changing my old posts. 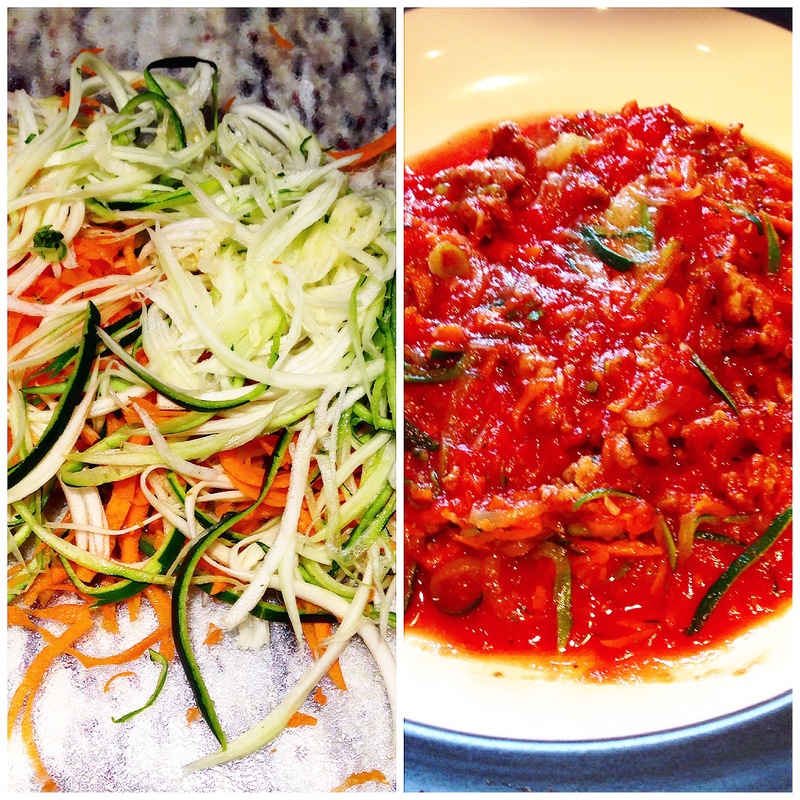 Some of those recipes are far from being “clean” but this blog is about cooking good food. Some of it may be good for you, some not as good for you, but “New Me” is all about balance. As a matter of fact I won’t be posting strictly healthy or clean recipes…I will be posting whatever I feel like deserves to be shared. As an individual it is up to you what you do or don’t put into your body….remember this word: “BALANCE”! I want to also say hello and thank you to my new followers. I have had an influx lately and I hope this will continue. It means a lot that I am reaching people out there in this big world. Make sure you head on over to Facebook and “Like” my page. It is also a work in progress but I will be sharing some interesting stuff on the page as well as my blog posts. 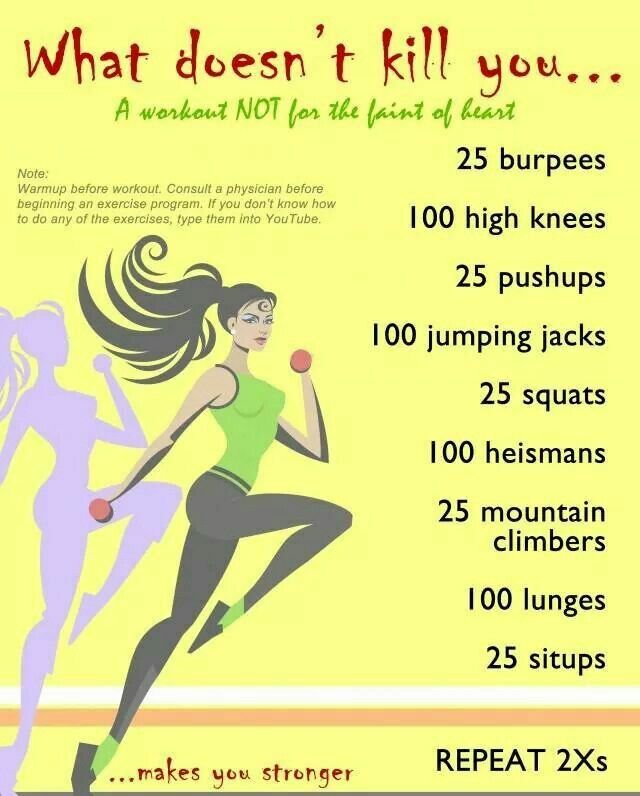 Anyway…for my first “Feel Good Friday” I leave you with this fun “at-home” workout that I came across on Pinterest (the original source is greenthickies.com). I used it when I was travelling over the holidays and it definitely gets the job done! Some things really irritate me. One of those things is when people make “food swaps” and say that it tastes EXACTLY like the real thing! It also irritates me when people add healthy ingredients to recipes and say “you can’t even taste it.” That’s how I ended up making today’s recipe, zucchini pizza crust. A colleague at work was drinking a green smoothie…another person heard us talking about it, chimed in and made the dreaded mistake of saying that she loves green smoothies because she eats veggies she normally wouldn’t because “you can’t even taste it.” This is a lie. Face it. I am not saying that it doesn’t taste good or that you can distinctly say “oh I taste kale”, but it adds a different flavor profile than just drinking a smoothie without veggies. You know I’m right!! Our conversation then turned to food swaps…you know those things that claim to taste like the real thing but are so much healthier. Pizza crust is a popular one. I’ve seen pizza crust recipes made from sweet potatoes, cauliflower, zucchini, and about 100 different Paleo pizza crusts. I decided I wanted to prove my point and so, I came home found some frozen shredded zucchini in the freezer and got to work. 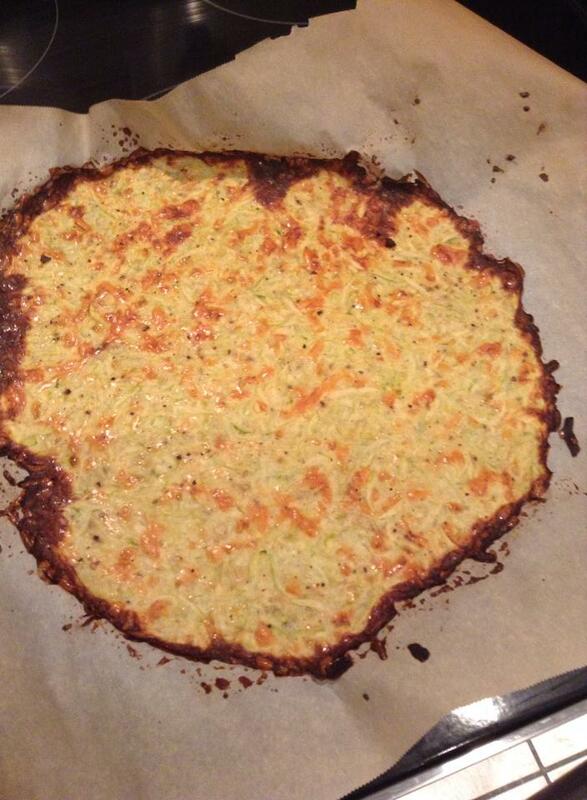 I read through numerous zucchini crust recipes, developed my own from what I’d read, and jumped in. 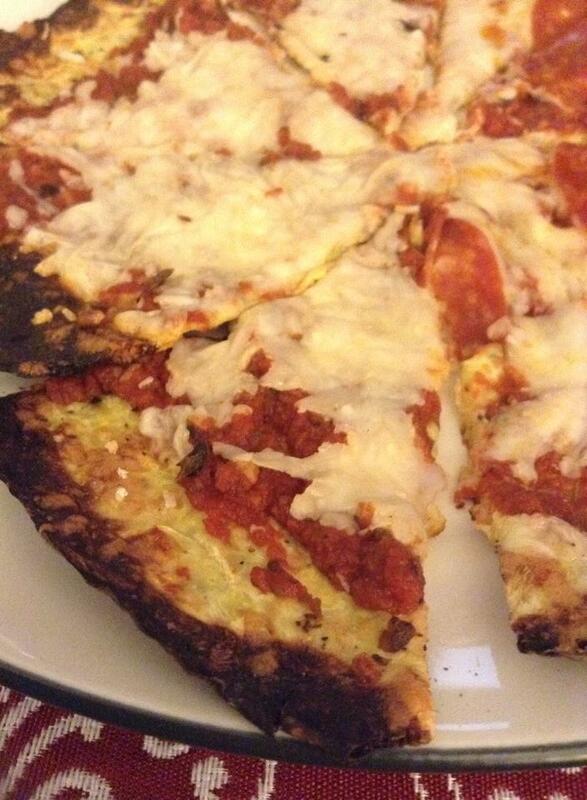 I was not wrong…it tasted nothing like pizza crust. 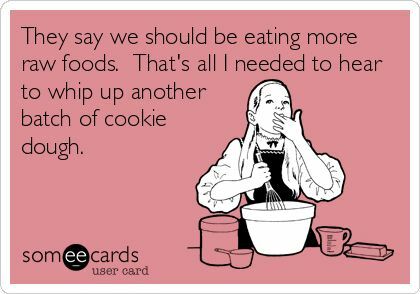 So my point is this…if you want to try to make “faux-foods” and swap out ingredients for healthier ones than go for it. 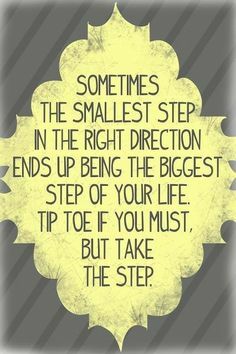 After all, any step to being healthy is a step in the right direction. Just don’t fool yourself into thinking that it is going to replace the real thing. I think all these paleo treats and food swaps just reinforce our toxic relationship with food. 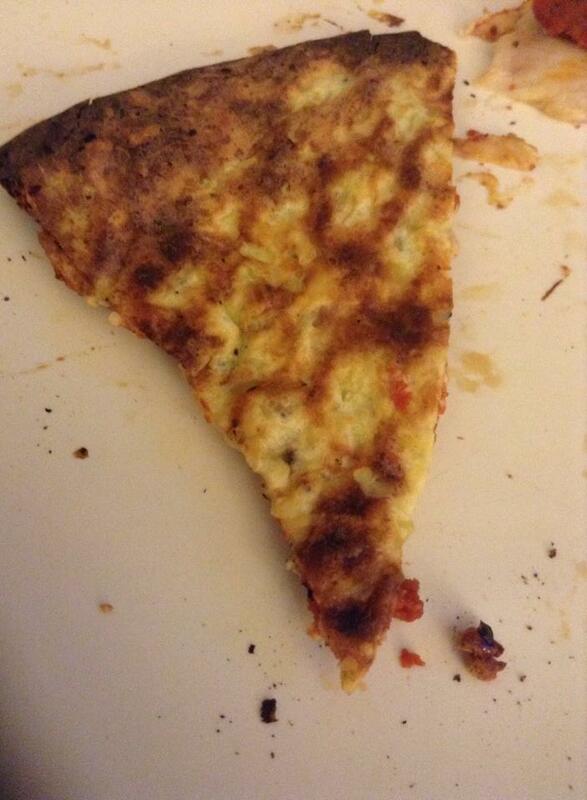 My advice: if you want pizza go ahead and eat a piece…just one piece! Eat most of your meals as they are meant to be and skip the paleo brownies (more on paleo treats in an upcoming post!) and if you just absolutely want a brownie, go ahead and eat a real one (because that paleo brownie does not taste just like the brownie you want and you’ll probably end up eating a whole pan of real brownies after your “healthy” one just didn’t cut it). It’s all about balance. I know that it’s easier said than done…trust me I have struggled with this all my life. I feel I’m doing pretty well with this now…but I am human and humans just have a hard time breaking bad habits. Just don’t give up. You can do it….and if you mess up along the way don’t give up. Get back on that horse and try again! 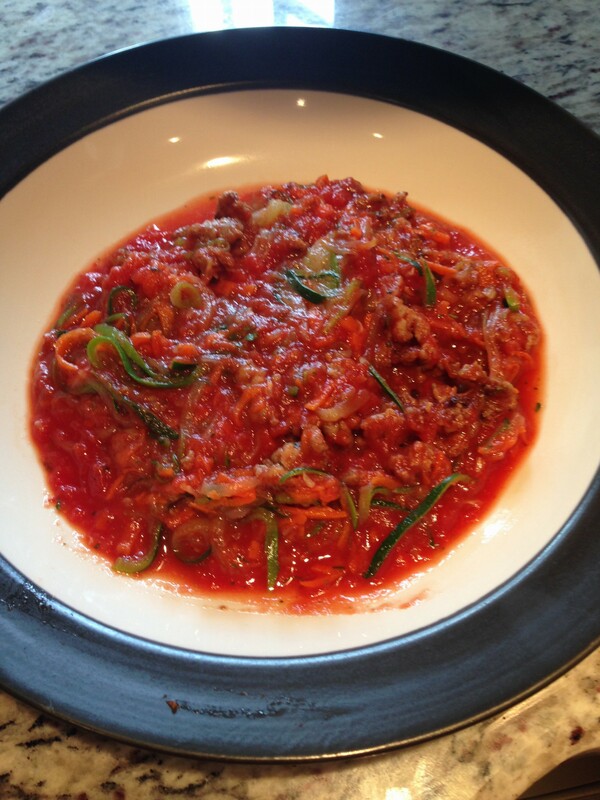 In a bowl combine the zucchini (make sure to squeeze out all the excess water as much as you can! 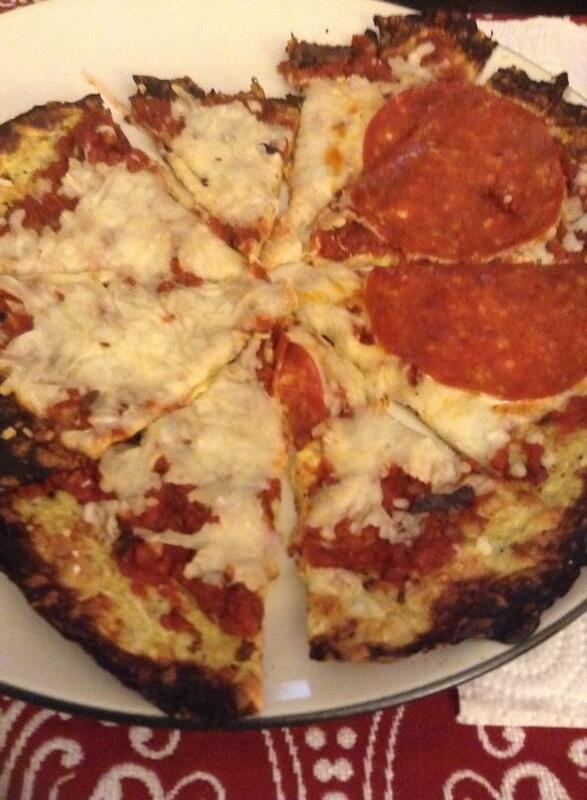 ), garlic powder, salt, black pepper, and shredded mozzarella cheese. Add the beaten egg a little bit at a time. You don’t want it to be too wet but if it doesn’t stick together add a little more egg. Mix it all together, spread it out on parchment paper in a nice flat layer…if you have a pizza stone I highly recommend it because it’ll get crispier. Bake on the pizza stone for 20-25 minutes. Remove from oven and top with pizza sauce and toppings put back in for 5-10 minutes. Like my Blog? Be sure to check out my Facebook page! In yesterday’s post I talked about how I always give up on dieting and eating healthy. Today I am completely back on track with a solid plan and goals in place. To help myself be more accountable and hopefully to get support from others in the blogging world and maybe even share some information that will help someone else (or even motivate someone) I have decided to start another blog devoted specifically to my weight loss/healthy living trials and tribulations. So, head on over to my new blog “Slimming Down” to see my goals, cheer me on, share your own stories, and of course get some healthy food & recipe ideas. Yesterday I started writing a blog complaining about my lack of willpower and consistency when it comes to dieting and eating healthy. I am a total introvert so I was only blaming myself…and feeling pretty down about it. The problem is when it comes to weight loss and eating healthy I just can’t seem to stick with it. It’s like I am always starting over….I mean I can’t really call months of horrendous eating, a sedentary lifestyle, and gaining back almost all of the weight I had previously lost…just a set back or getting off track a little. 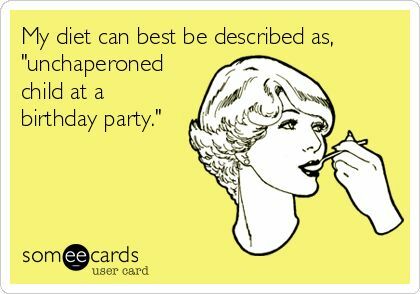 A setback is pigging out at that July 4th barbecue…getting off track is not going to the gym for a week, right? 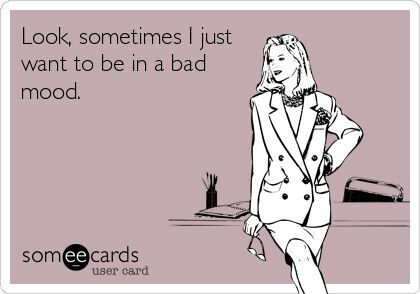 Or am I being too hard on myself? It seems like when I read other blogs or talk to other people they talk about having a bad day or maybe a bad week…not having to start again! I truly don’t know why I never stick with it…I don’t want to say I have no willpower because I know if I really tried I could do it. So where do I go wrong??? Anyway, today I’m feeling a little better…I ate healthy yesterday and today (forcing down some nasty watermelon as I type this, which I overpaid for at the food truck). However, I just keep thinking that there is something wrong with me that I cannot stick with it for longer than a few months, or sometimes even only a few weeks. So, earlier I had been feeling sorry for myself when I was in line at Saladworks listening to the couple behind me talk about “eating healthy” (they were invading my personal space so I couldn’t help but eavesdrop!). The woman was extremely overweight…obese… the guy appeared to be a normal weight and they were probably in their late 20’s or early 30’s. Anyway, she was telling him how much she loves eating there (if you’re not familiar with Saladworks, check them out…it is an awesome place). Apparently it was his first time so she was telling him you can order one from the menu or create your own. She proceeded to explain it’s better to create your own because it’s much healthier. As I listened to them talk and decide what was healthy…they chose to put on top of their lettuce…pasta, buffalo chicken, cheddar cheese, bacon bits, croutons, and some other random veggies topped off with Ranch Dressing! I was absolutely blown away that they both thought this was “healthy”. Now I’m sure it is better than going to McDonald’s for lunch, but I really wanted to turn around and let them know aside from the vegetables and maybe the chicken they really weren’t doing themselves any good. It made me realize that at least I have the appropriate knowledge when it comes to eating healthy. That at least I am not fooling myself into thinking that just because I eat at a place called “Saladworks” I am on my way to weight loss. I also realized how thankful I am that I only have 30-40 pounds to lose and not 100…because honestly if I didn’t keep trying and starting over I’d probably be much heavier!! It is hard for me to understand how in this day in age with information readily available at our fingertips that there are still people out there who truly don’t understand what they need to do to eat healthy or lose weight. I feel grateful for the knowledge that I have, which made me feel much more positive…that I can do it if I really want to and really try hard. I also came to the conclusion that starting over is better than quitting completely and just not caring. No matter how many times you get flung off of the horse, the important thing is that you get back on, right? No matter how many times….eventually you may just be able to stay on top! 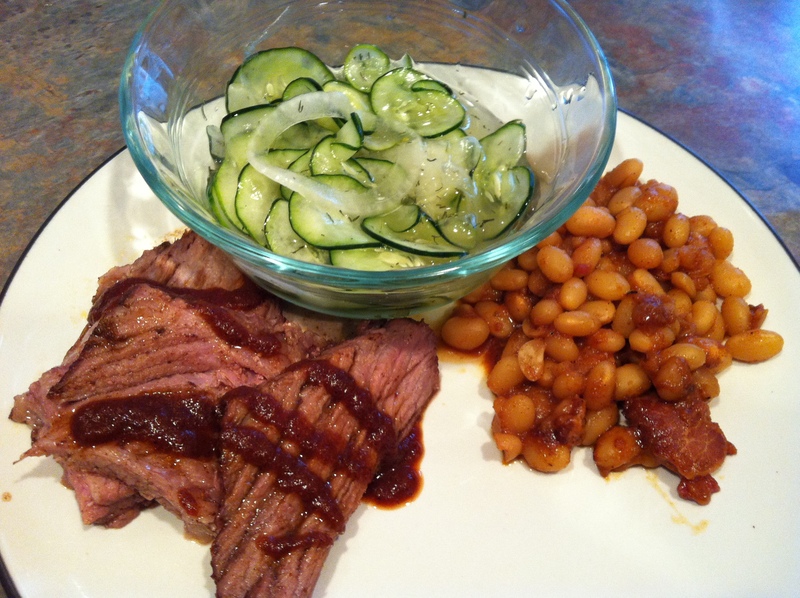 Since I’ve been doing well with my food choices these past 2 days, here is a recipe for a cucumber salad that I served as a side to some grilled pork (that’s beef in the picture though!) the other night. I am not a huge fan of cucumbers but will eat them once in a while. This is a classic sweet & tangy cucumber salad that you’ve probably had at a barbecue or somewhere along the line…and didn’t even realize it was healthy. This salad is only 1 WWPP (it makes about 4 servings). If you like a sweeter salad then you will need to add more sugar, but keep in mind this will increase the Weight Watchers Points Value. If you like it a bit more tangy then you will need to decrease the amount of sugar. You can also substitute Splenda or another sweetener for the sugar, however this will not affect the WWPP. In a small saucepan, heat the water and sugar just to boiling. Stir until sugar dissolves and remove from heat. 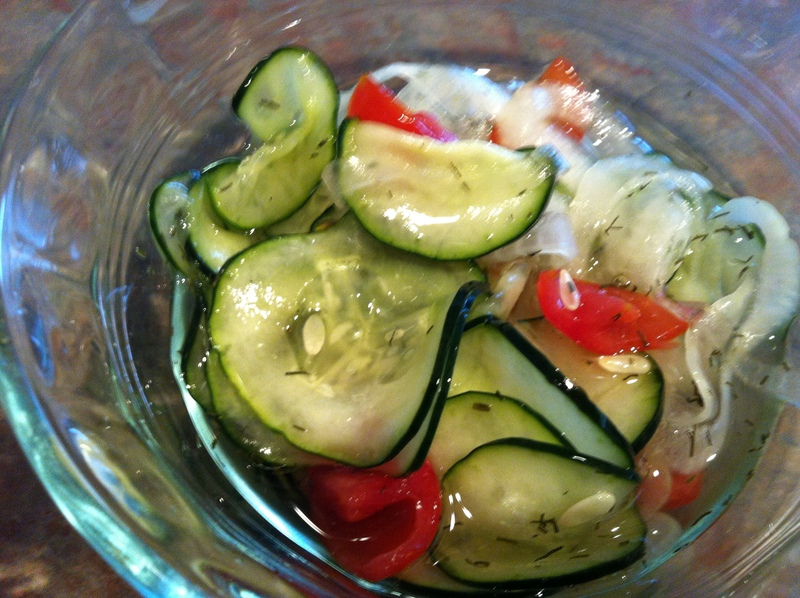 Place the cucumber slices, onion slices, and tomatoes in a bowl and add the vinegar. Pour the sugar water into this and stir. Add the dill. 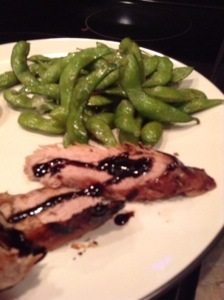 A Healthy Side Dish…Disguised as a Bad Guy! 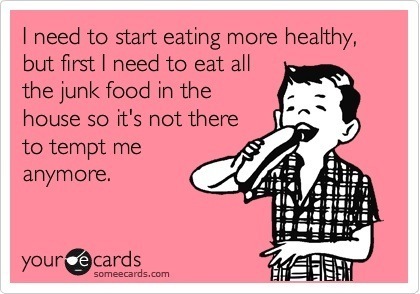 So I have a confession to make….I have been eating total crap (and lots of it too) for the past few weeks! It’s weird…because as much as I love my junk food, my body is totally crying out for some healthier options like more fruits and veggies and less processed CRAP! Blame it on the heat, stress at work, boredom, whatever…but I am not heading down a good path. However, slowly but surely I’ve been getting back in the swing of things…but of course I can’t let my junk food go to waste so I’ve still been eating it in between some of the healthier stuff. 😉 I promise next week I’ll be back on track! One way that I’ve been trying to go the “healthier” route is that I’ve been sneaking in a lot of greek yogurt into our meals. I haven’t told Hubby (although once he reads this he’ll know!) but it’s amazing how well it substitutes into everything. I’ve used it in pasta dishes, baking, salad dressings, etc. Let’s face it…by itself it’s disgusting, so it took me some time to try it as a substitute…but now that I have I’m totally hooked. 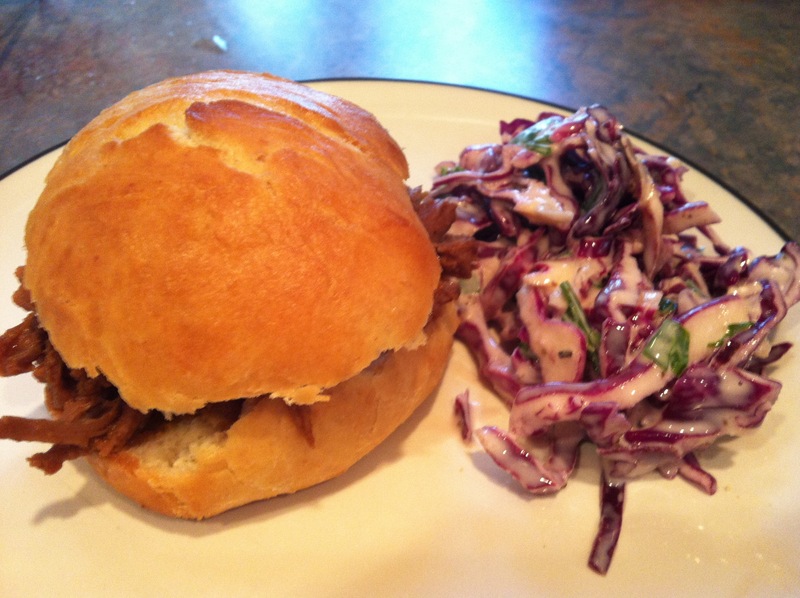 So here is a quick side dish that I made with pulled pork sandwiches. One serving (about 1/2 cup) is only 1 Weight Watchers Points Plus! It tastes great and all I did was substitute the mayo for greek yogurt and you would never ever know! Hubby didn’t! 😉 Also, I was feeling lazy so I bought a bag of Dole shredded red cabbage which is about 3 cups. It saved a lot of time from having to cut up an actual head of cabbage! So go make this for your next barbecue and you can feel good knowing you served something healthier than traditional coleslaw! In a medium size bowl, whisk together all the ingredients except for the cabbage, until well combined. 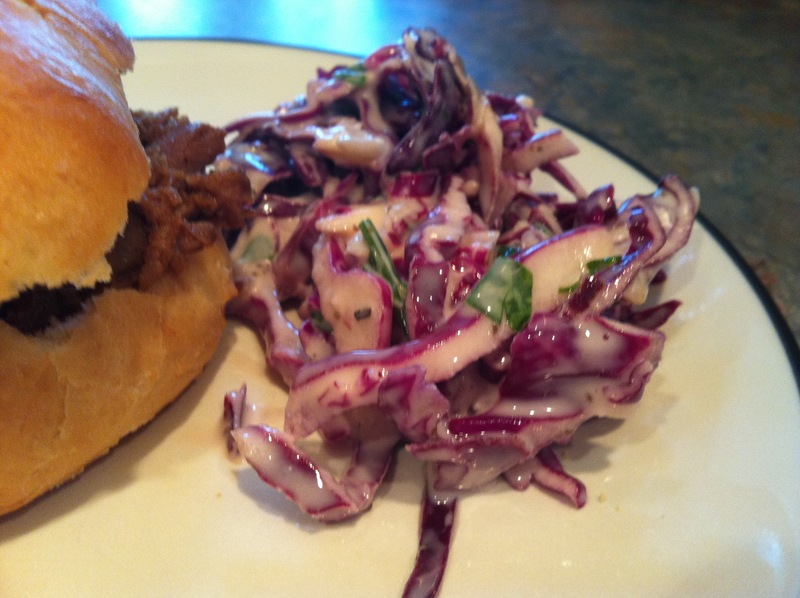 Stir in the cabbage and allow to sit in the refrigerator for an hour or so before serving.